New Zealand's collective heart aches this week as we mourn the deaths of 50 people killed in an unspeakable terror attack across two mosques in Christchurch last Friday. But in the wake of this great tragedy, the families of the victims are forced to adjust to life without those they loved most - indelible scars that will never heal. These are the faces, names and identities of those who so cruelly had their lives taken in their place of worship. Mucad is believed to be the youngest victim of the Christchurch terror attack at just three years of age. He was born in Hamilton, and is the son of Somali immigrants who arrived in New Zealand in the early 1990s. His brother Abdi had taken him to the Masjid Al Noor mosque to pray when the shooting started. "I was right next to him. It was intense, it just happened so fast," he told Newshub. "Everything was going too fast, I just thought it was fireworks. And everyone was running... Just started to run... And just lost the boy." The Indonesian foreign ministry announced Hamid's death on its website. He is survived by his wife Nina and children Zhania and Gerin. Hamid was an aircraft maintenance engineer with Air New Zealand for 16 years. He is remembered by the airline as a popular and valued member of its Christchurch engineering team. Sayyad, a Cashmere High School student, was killed in the shooting at the Deans Ave mosque. Principal Mark Wilson told Newshub he was "an awesome kid, with kind eyes, a big heart and a cheeky smile". "He was planning to be an engineer or an architect," he added. His father John described him as a "brave little soldier" who loved football, NZME reports. Syrian Solidarity New Zealand confirmed the death of 16-year-old Hamza on Sunday morning. The Cashmere High School student was the eldest son of Khaled Mustafa, who also died in the massacre. His younger brother is said to be in a stable condition in hospital. Principal Wilson told Newshub he was "a great student, a compassionate young man, and despite not being here very long he had made a lot of friends". Like his son, Khaled was killed at the Masjid Al Noor mosque on Deans Ave. They had only been in the country a matter of months. Syrian Solidarity New Zealand confirmed his death on Sunday. Kuwait-born Elayyan, whose death was confirmed by New Zealand Football, was a gifted futsal player and award-winning app developer. The 33-year-old was a goalkeeper for the Futsal Whites, our national team. He also founded a tech company, LWA Solutions, which provided mobile solutions for the likes of Microsoft and Trade Me. He was recognised as one of the country's most transformative technology and digital leaders at industry awards in 2017 and 2018. Omar is another former Cashmere High School student killed in the Masjid Al Noor mosque attack. His mother Rosemary had dropped him off and was driving around to find a parking space when the shooting occurred. He was also a footballer, and his club Mainland Football confirmed his death. They remember him as an "amazing human being". Parvin was tragically killed while going back into the mosque for her husband of 25 years, Farid, who is a wheelchair user. Farid told Newshub his wife was a "magnetic" presence who "could reach anyone". Incredibly, Farid has forgiven the gunman who killed Parvin - a deliberate choice, he explained, as it was what she would have wanted. "She's brave, and she gave her life serving others." Ali, also known as Babu, was a regular worshipper at the Masjid Al Noor mosque, his sister Tamina Bibi told The Fiji Times. Babu was a taxi proprietor, and lost his wife just a year ago. He is survived by his only daughter. "We waited on Friday and Saturday and there were no updates in relation to Babu," Bibi explained, "and finally, last night was informed that Ali's body was recovered from the mosque." Ashraf Ali, another Fijian man by the same name, lost his life in the Al Noor shooting. He too was a regular at the mosque. His brother Shabeer said Ashraf had migrated to New Zealand 17 years ago. Ali's death was confirmed by the Pakistani Minister of Foreign Affairs. He was a senior dynamics developer at software company Intergen for more than six years. Pakistan's Prime Minister, Imran Khan, has labelled Rashid a martyr after he allegedly tried to tackle the Christchurch gunman and wrestle his weapon out of his hands outside the Al Noor mosque. He later died of injuries at Christchurch Hospital, and his son Talha was also killed. Khan said Pakistan would honour Rashid with a national award. Talha, like his father, was shot and killed at the Al Noor mosque. His uncle Dr Khursheed Alam notified Pakistani news channel ARY News of the death, and the Pakistani Minister of Foreign Affairs later confirmed the tragic news. Ahsan was a software engineer who completed his master's degree at Auckland University in 2010. He later settled in Christchurch. He is survived by his wife, Insha and his three-year-old daughter and seven-month old son. His death was confirmed by Indian MP Asaduddin Owaisi. Ahmed was a chartered accountant from Pakistan. He had travelled to New Zealand on behalf of PriceWaterhouseCooper. His cousin, Syed Abdur Rahim, confirmed the news on Facebook after a statement from the Pakistani Minister of Foreign Affairs. An uncle said he was very religious and prayed five times daily. Shahid's death was confirmed by the Pakistani Minister of Foreign Affairs. 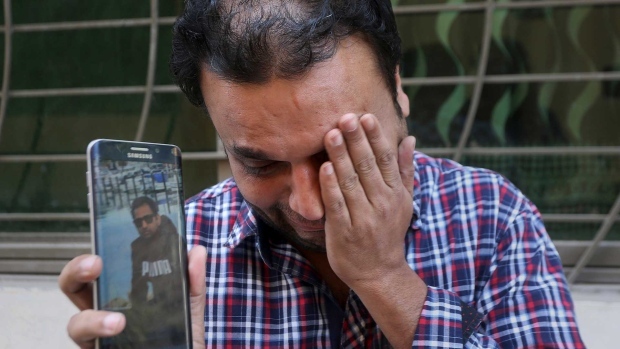 A heartbreaking image taken by an Associated Press photographer showed a relative in Lahore, Pakistan weeping while looking at a photo of Shahid on his phone. Patel, a Fijian Imam, was visiting Christchurch with his family when he was fatally shot at Linwood mosque. He is survived by his his wife, two sons and three daughters. Fiji Muslim League Lautoka spokesperson Naved Khan said Patel was a "highly respected member of the Fiji Muslim League and served selflessly as an Imam, teacher, mentor and was much sought after as a powerful orator and speaker." Dr Mahmood was an economics tutor at Lincoln University in Christchurch. He has previously worked at banks in Pakistan and has been a business lecturer. His death was confirmed by the Pakistani Minister of Foreign Affairs. Dr Mahmood is survived by a wife and two children, aged 11 and 13. Nabi was a former Canterbury Engineering employee and community leader from Afghanistan. He came to New Zealand as an asylum seeker more than 40 years ago. His death was reported by the Afghan Association of New Zealand. Dr Samad was a lecturer in Bangladesh's Agricultural Development Corportation until the end of 2012. He then moved to New Zealand with his wife and two sons, gained citizenship, and taught as a professor at Lincoln University in Christchurch. Dr Samad's brother, Habibur Rahman, told Al Jazeera he would often lead prayers at the Deans Ave mosque. His death was confirmed by Bangladesh's state minister for foreign affairs. Dr Hamid was a senior medical officer at Hāwera Hospital in Taranaki. He migrated to New Zealand 23 years ago. On Sunday, Rosemary Clements, chief executive of the Taranaki District Health Board, paid tribute to him in a statement. "Dr Hamid's presence will be dearly missed by his colleagues and those who knew him," she said. "He was well liked for his kindness, compassion and sense of humour. He was a hard-working doctor, deeply committed to caring for his patients, and a thoughtful team member who was supportive of all staff." Kweik was originally from the Gaza Strip. He had also lived in Egypt, and was in the process of applying for New Zealand citizenship when he was killed. The Palestinian Ministry of Foreign Affairs confirmed Kweik's death. Awale had been living in Christchurch for about three decades. He was working as a marriage celebrant for the Muslim Association of Canterbury until 2018. The Federation of Islamic Associations of New Zealand confirmed his death. He is survived by his wife Muhubo Ali Jama. Al-Harbi moved to New Zealand about 25 years ago. He worked in water desalinisation, and sometimes gave sermons in the mosque. He died in hospital after the shooting. The Federation of Islamic Associations of New Zealand confirmed his death. Elmi brought his family to Christchurch from Somalia about 10 years ago. He lived in Halswell, and is survived by his wife of close to 50 years, his four daughters and five sons. His death was confirmed by the Federation of Islamic Associations of New Zealand. Faruk came to New Zealand about two years ago from Bangladesh. He had been working as a welder. He is survived by his wife, who is four months' pregnant with his unborn baby. Hoq moved to Christchurch from Bangladesh more than three years ago. He worked in health care, and had plans to return to Bangladesh to marry his partner, start a dental clinic and start a family. Moustafa was of Egyptian origin. His daughter-in-law Nada Tawfeek told the Sydney Morning Herald he loved his mosque and was a happy and positive person. "He trusted people's goodwill and wouldn't hurt a soul." Qasem moved to New Zealand from Palestine with his family in the early 1990s because of the Gulf War. He was the Muslim Association of Canterbury's former secretary, and also worked as an IT specialist in Kuwait. Armstrong grew up in west Auckland, and moved to Christchurch a few years ago. The move was to be closer to her daughter and grandchildren. Known for selflessly helping others, she's also credited with saving lives as the alleged gunman attacked. She was known for her smile and kind heart. "It did not matter who you were or what your background or beliefs or anything was. If you needed anything done she would find a way to do it," Edward Wadsworth, General Secretary of the mosque said. Raza was a mechanical engineer from Karachi, Pakistan. He moved to New Zealand in 2018. He spent some time in Auckland before shifting to Christchurch for work. He is survived by his younger sister, who lives in Pakistan. Hussain is Raza's father, and was killed in the Linwood Mosque while visiting his son in New Zealand. He is survived by his daughter. Pakistan's foreign ministry confirmed his death. Bibi, Hussain's wife and Raza's mother, was also killed in the Linwood Mosque during her visit to Christchurch. She is survived by her daughter. Pakistan's foreign ministry confirmed her death. Khan, also known as Imran Bhai by those close to him, moved to New Zealand from India. He owned the Indian Grill restaurant in Christchurch. Al-Umari moved to New Zealand from the UAE 22 years ago. He had worked in the travel industry, and was a regular at the Deans Ave mosque. Ismail was born in Christchurch, and owned the Springs Road Dairy. He is survived by his twin brother Zahid, who escaped the attack, and his wife, three children and mother, who relied on his care. Bhuiyan is from Bangladesh. He was set to move to Auckland to begin a job in engineering. No one has heard from him since the attack on Friday. The Palestinian ministry of foreign affairs also confirmed Abdul Fattah Al-Daqqah, of Palestinian origin, was killed in the terror attack. He was the former secretary of the Muslim Association in Christchurch, NZME reports. Elmadani was a retired engineer who had migrated to New Zealand from the UAE more than 20 years ago. His death was also confirmed by the Palestinian Ministry of Foreign Affairs. His daughter Maha told Stuff the entire family is trying to be strong in his absence. Darwish migrated to New Zealand from Jordan just six months prior to the attack. His brother says he was working on a dairy farm in Ashburton, and his family remained in Jordan. He only rarely made it to the mosque to pray, his brother said, and was "very excited" to be attending Al Noor on Friday. Khokhar was the retired manager of a power station in Gujarat. He had flown to New Zealand for the first time last week to visit his 27-year-old son, Imran. His friend Tajuddin Pawar told The Ahmedabad Mirror Khokhar was "a humble and jolly man". His death was confirmed by the Indian embassy in New Zealand. Vora, also from Gujarat, India, was visiting Christchurch to see his son and daughter-in-law, and to meet his new grandchild. His death was confirmed by New Zealand's Indian embassy. Asif's son Ramiz was also among the dead. He and his wife had just welcomed their child into the world the week before the attack. Alibava moved to New Zealand from Kerala, south India a year ago with her husband, Abdul Nazar. She was studying agriculture at Lincoln University, and had worked part-time at Kmart Riccarton and interned at Lincoln Agritech. The Indian Embassy in New Zealand confirmed her death. Kadir was a student at International Aviation Academy of New Zealand. He had moved from Hyderabad to Christchurch, and had plans to become a commercial pilot. The Indian Social and Cultural Club of Christchurch described him as "irreplaceable to [his] friends and family". Suleiman was a design engineer at Scotts Engineering in Christchurch. He had been in the job for more than 20 years. Egypt's Ministry of Emigration confirmed his death. He is survived by his wife Ekram. A spokesperson for Scotts Engineering remembered him as a "lovely man". Egypt's Ministry of Emigration, citing authorities in New Zealand, named Ghani as one of the victims. He is believed to have been operating a donut food truck in Christchurch. A former colleague of Ghani's described him as "a really lovely, friendly person who adored his family". The country's Immigration Minister communicated his condolences on behalf of the government. Egypt's Ministry of Emigration, citing authorities in New Zealand, named Morsi as one of the victims. He is survived by his wife Siham. A statement said the victim's body would be transported back to Egypt or buried by Tuesday. Safi came to New Zealand from Afghanistan about nine years ago. He worked various jobs in Christchurch and is survived by his wife, daughter and six sons. The Embassy of the Islamic Republic of Afghanistan in Canberra confirmed Safi's death. A statement from the embassy said three other Afghanistan residents were injured in the attack, which was condemned as "barbaric".